Yay! 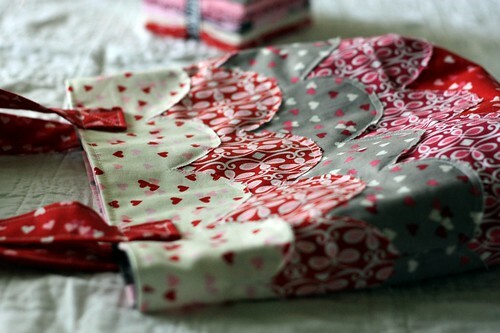 A giveaway - FABRIC!! I teased you with the goods a few months ago...and that day is finally here! Now is your chance to win a set of 8 fat quarters from the Olive the Ostrich line from Robert Kaufman, designed by Laurie Wisbrun. Um, yeah, it took me a little while to get it together. 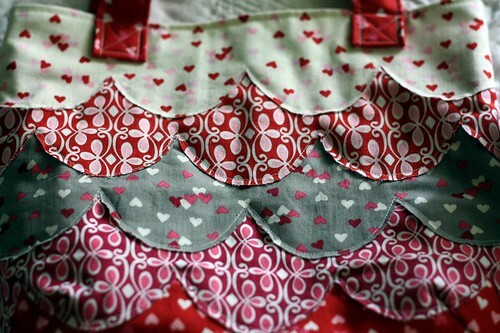 I knew that I wanted to make a bag, and I knew that I wanted scallops. 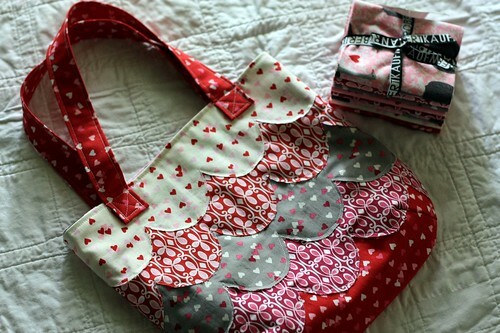 A scalloped tote seemed like the perfect match for these adorable fabrics. I was going to turn under the edge of the scallops for a more polished look, but decided on raw edge applique. I love it. I can't wait to see how it looks after a run through the wash and gets all frayed and ravely. 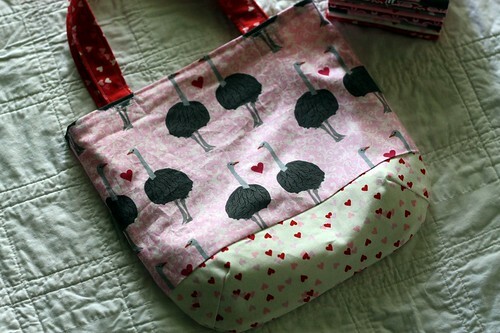 Oh, but this is Olive the Ostrich fabric, I didn't leave her out. There she is! She's keeping watch over the the tutu and ballet shoes. It only took me a few years, but Ava finally has a dance tote of her own (not a Lily hand-me-down). If she really wants, she can flip the tote to the reverse to give Olive a look at the world. 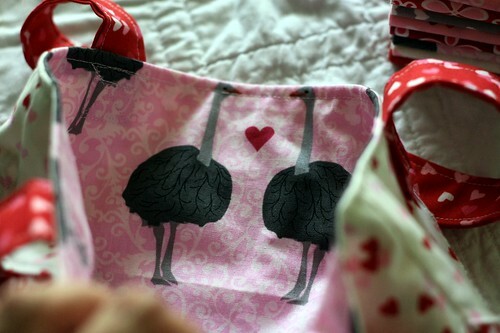 Reversible is good, especially when ostriches and hearts are involved. So, if you'd like a stack of Olive the Ostrich fat quarters, leave a comment on this post telling me what you would make if you were to win. 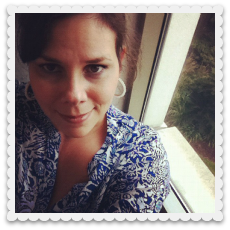 I'll leave comments open through the weekend and draw a name on Monday Sept. 24. Good luck! 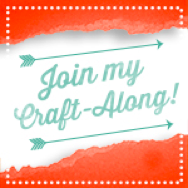 I can't wait to hear what you plan to make!